When it comes to discovering the facts, where should you go to collect the correct data? 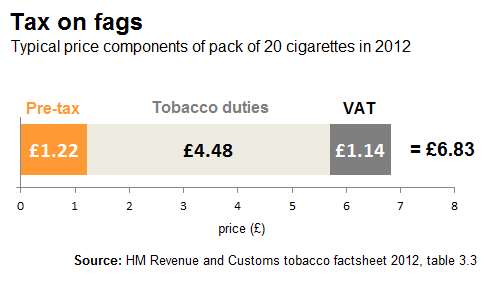 Dennis A wanted to find out how much of the money spent on cigarettes goes in tax and, in the course of his research, he came across this table which is taken from the HM Revenue and Customs tobacco fact sheet 2012. Did you spot the mistake? Has the penny dropped?